Have you ever fancied just sitting back, relaxing and going on a road trip? If so then you must be in the market for a cruiser bike, and we just so happen to have a list of the top 10 cruiser motorbikes for 2018 what a coincidence! When you see the words 1679cc, 200 horsepower and cruiser motorcycle in the same sentence you know that it's going to be one hell of a vehicle. The Yamaha V-Max isn't quite a purebred cruiser but the sheer power of it is what gives it a place on our best cruiser bikes list. Being part cruiser and part sports bike which gives it some serious speed that's just waiting to be unleashed. For a change of pace let's start off with the negatives of this cruiser bike, and there really is only one... and that's the price. 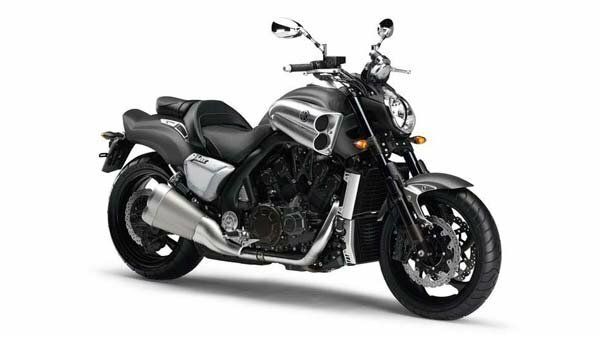 The Yamaha V-Max was only created with a limited production run and this only escalates the price even more. From new, you will be splashing out an eye-watering £21,499 and a used Yamaha V-Max will set you back anywhere from £13,500 to £15,000. High-end cruisers have never had an issue with selling when it comes to price but still, it's a lot of money for a motorbike and this will most likely be the dealbreaker. Moving swiftly on from that one negative, the V-Max is actually an engineering masterpiece. It features an insane 1679cc, 65 degrees V4 engine that has been rated at producing a total of 200 horsepower at a respectable 9,000 RPM. When buying anything from a Japanese motorcycle manufacturer you know that reliability will never be a question you have to talk about. Brembo brakes come as standard in the Yamaha V-Max and the overall build quality quite simply puts American cruisers to shame. What you get here is a cruiser bike that isn't popular or good because of its name or some marketing, this thing is just straight up fantastic. 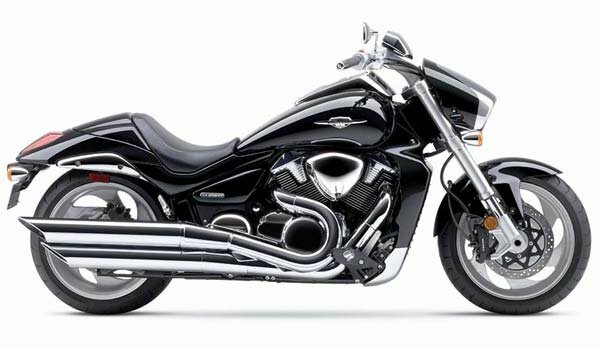 The Triumph Rocket III has been around since 2004 and hit the market with quite an impact that was accompanied by a 2294 cc engine that kicks out enough torque to pull continents. Not only that but it manages to produce a very respectable 146 bhp which can be felt with the smallest twist of the throttle, going up into the high RPM range will provide you with some very satisfying sounds that will alert nearby road users to your presence. 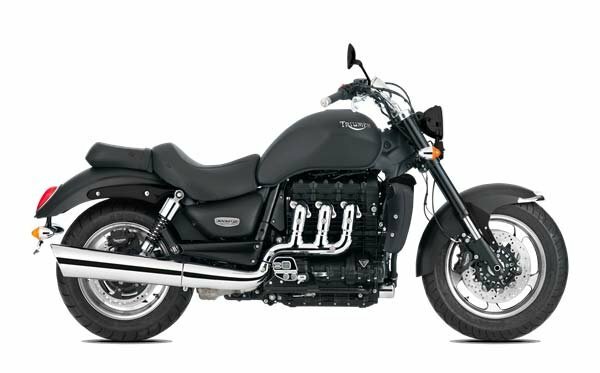 The price of the Triumph Rocket III isn't unfeasible either, coming in at a modest £13,900 new or between £7,700 and £15,600 which is a normal range for high-end cruiser bikes. This particular motorcycle also holds its value incredibly well so finding a bargain may actually be quite tricky. ABS comes as standard and you'll need it to slow down the biggest production motorcycle engine currently on the market. Something that you may have to take into consideration is the wet weight of the Triumph Rocket III which comes in at a hefty 367kg, however, it's surprisingly agile and quick around roads. There's nothing quite like the presence that the Suzuki M1800R Intruder gives off due to its sheer size. It comes packing some serious heat in the form of a 1783cc V-Twin that's at a 54° angle. Combining this huge engine with the size of the M1800R you would expect a very slow and sluggish piece of kit that isn't easy to manoeuvre, however, it's actually quite the opposite as it performs very smoothly on the road and you don't quite realise how big the vehicle you are using is. Unfortunately, it doesn't always get the respect it deserves when you compare it to popular cruiser manufacturers such as Harley Davidson. A brand new Suzuki M1800R intruder will set you back a measly £10,799 and a used one will range from £6,500 and £12,500, we say measly because for what you're getting its great value for money. This cruiser bike has been rated at producing a whopping 118ftlb of torque which is easily enough to throw you around while cruising through town or on the motorway. 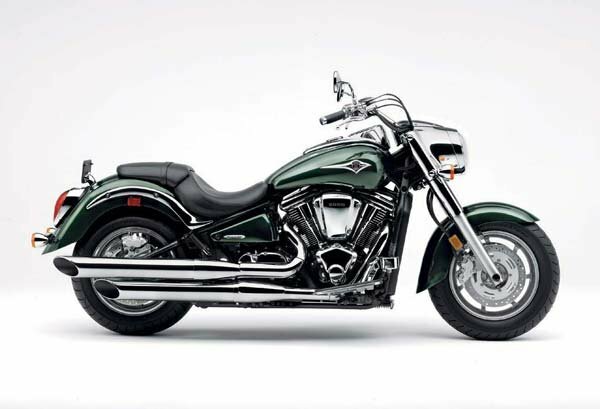 It wasn't ever going to be long before we mentioned a Harley on our top 10 cruiser motorbikes list. The Harley-Davidson Dyna Glide takes motorcycles back to the glorious old-school low-rider era that has a special place in our history books. While not the biggest engine on our list, you'll still have a 1584cc air-cooled V-Twin angled at 45° which kicks out an impressive 110bhp and a substantial amount of noise to follow. The price comes in at a relatively budget friendly £12,495 (budget friendly for a Harley) when bought brand new and used will set you back anywhere from £8,500 to £15,000. If you are only looking for raw power from your cruiser bike then we would advise giving the Dyna Glide a miss as it's more targeted for riders who are all about the aesthetics and feel of a motorcycle. It's a fairly forgiving bike when it comes to the clutch as once it starts the bite the motorbike is usable in pretty much any condition. The fuel injection and timing helps a lot with the simplicity and ease of use. 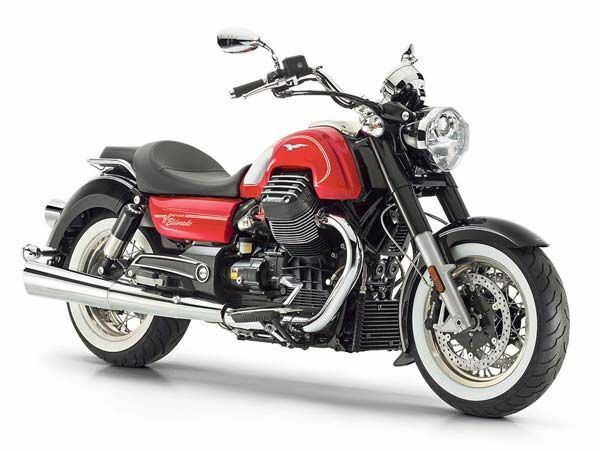 The Moto Guzzi Eldorado is an homage to the famous 850 that was around in the 1970s. A clear sign of the retro styling can be found in the whitewall tyres that lead directly to the mudguards. The V-twin 1380cc engine attached to this retro beauty produces a very modest 96bhp, now this might not sound like a lot when you compare to other high-end cruisers but when you're out and about on the road trust us when we say it's plenty. Coming in at a cool price of £15,635, a brand new Moto Guzzi Eldorado isn't the cheapest cruiser we have on our list but when it comes to the world of high-end cruisers then it's not particularly expensive either. While this is an homage to the past don't think that the eldorado doesn't come with a huge list of features. Changeable traction, along with ABS, comes as standard. To make sure you have plenty of braking power to slow down a 317kg heavy cruiser, Moto Guzzi has included Brembo stoppers. Some of the more advanced features include three different rider modes that change the throttle response, power output and also fuel usage of the motorbike. Flicking through various digital measurements on the display is as easy as flicking a switch located on the left bar. You can view such figures as current and average MPG, there's even an option to change the display language on the dash. Cruising is quite simply having a relaxed mind while riding, and there's nothing quite like the simplicity of the Kawasaki VN2000 that takes cruising back to its roots. A 2053cc fuel injected, V-Twin engine is sat right below you which kicks out a very respectable 103 bhp that is accompanied by an insane 142ft. lbs of torque that you can feel in your chest as you pull back on the throttle. You can pick up one of these fantastic cruisers at a very affordable price of £11,045 which when compared to a lot of other cruisers we have listed is quite simply a bargain. Reliability and build quality is never a question when it comes to Japanese-built motorcycles, one word of advice would be to keep the chrome finishes away from any winter salt as it could very quickly damage it. While the base model doesn't come with a huge range of features, there are various add-ons you can get for the Kawasaki VN2000 which ranges from tassels to tank bags, just don't get too carried away with adding too much chrome or you could be in for a very long weekend of cleaning. Have you always wanted to get into serious motorcycle cruising? Are you a big fan of Harley-Davidson bikes? If you answered yes to both of those questions then we have the ideal bike for you. The Harley-Davidson XL883 Sportster is a very basic and budget friendly gateway into the life of owning a Harley motorcycle. It's 883cc produces very familiar gurgle and burble noises that Harleys are famous for. The only slight issue is that with only 50bhp being produced you can really feel the entire weight (251kg) of the bike when it comes to handling. 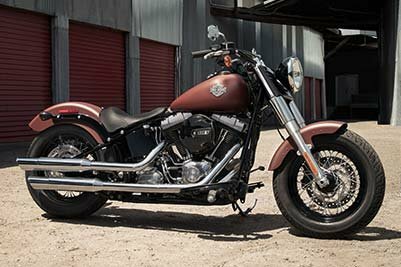 Build quality and reliability is never at question when we look at Harley-Davidson motorcycles, however, if something does happen to go wrong then you always have the quality aftercare service that is provided free of charge. 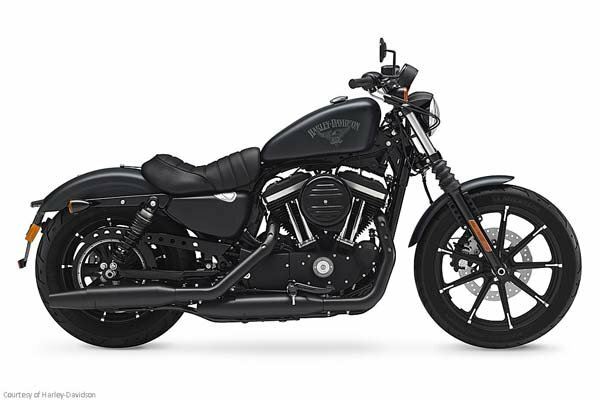 The largest downside to the Harley XL883 Sportster is that it really doesn't come with a whole lot of features, but what can you expect when a brand new one will only cost you £6,395 and used you can pick one up from anywhere between £3,900 and £13,000. While there are very few features that come as standard on this cruiser motorcycle, Harley does provide you with a wide range of add-ons that can make the ride feel more personalised to you. While Ducati don't have many cruiser motorbikes for sale currently, what they do have is nothing short of exceptional and the XDiavel is exactly that. This gorgeous piece of engineering will certainly turn heads as you ride through the city but it might be just a bit too powerful for your cruising needs. The 1262cc V-twin engine attached to this monster blasts out a whopping 156bhp which is quite frankly frightening for a cruiser especially when 72ftlb of torque is being produced at only 2000rpm. The Ducati XDiavel comes with a lot of features, such as ABS, traction control, anti-wheelie functionality, three different riding modes depending on what you fancy doing, cruise control and last but certainly not least a launch control system if you need to get away from the lights quickly. 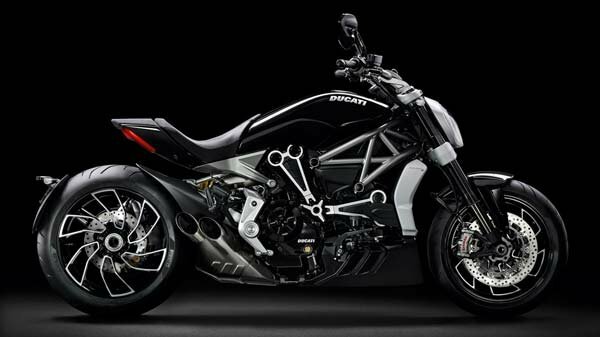 You might be thinking that with a name like Ducati and with all of the included features this motorcycle would come in at an overwhelming price, you would be sorely mistaken as a brand new Ducati XDiavel will only set you back £15,795 and a used one will go from anywhere between £13,500 and £19,600 which is a longshot from some of the premium tier cruisers. If style has always been at the forefront of what you're looking for when it comes to buying the best cruiser motorcycle then you can't go wrong with the post-war styling on offer from the Triumph Bonneville Bobber. A 1200cc parallel twin-cylinder engine is sat right in the middle kicking out a considerable amount of torque. 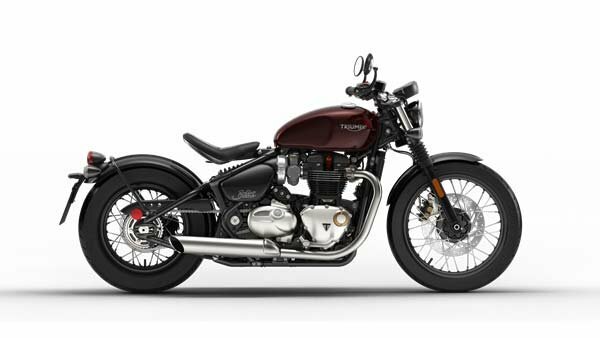 A brand new Triumph Bonneville will set you back a mere £10,500 which is a bargain for what you're getting, especially when you compare it to some of the high-end cruisers we've listed. This motorcycle comes standard with ABS and even has two different riding modes, Rain and Road we'll leave you to figure out what those two modes are for. The build quality and reliability of the Triumph Bonneville is sturdy and no known issues have currently been reported. It only comes in weighing at a total of 228kg dry. It's a great cruiser for anyone looking at having this type of design. The Harley-Davidson Street Glide is a welcome addition to an already wide range of quality cruiser motorcycles. At your fingertips, you have the power of a 1745cc V-twin engine that has been positioned at 45º and produces a total of 88 bhp which is easily enough to cruise across the country with. The brand should always be a giveaway as to how much you are going to be spending, with Harley-Davidson motorcycles you know it's never going to be cheap. 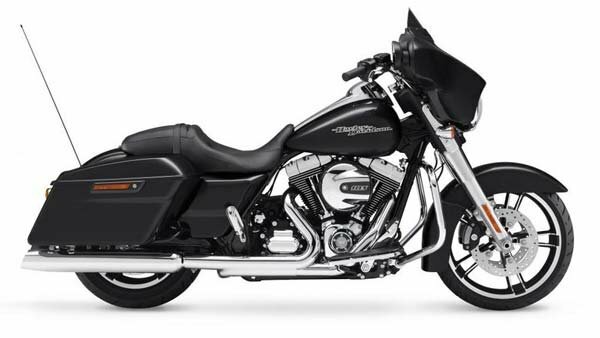 The Street Glide comes in, brand new, at a painful £20,695 or between £19,300 and £21,300 used. The Street Glide comes equipped with Brembo brakes and suspension, an information system and LED lights. That concludes our list of the best cruiser motorcycles for 2018, there are many great options currently out on the market and there has never been a better time to get yourself on two wheels and start cruising.